Mayor Paula Devine of Glendale, California: Tell Sister City, Gimpo, South Korea, That We’re Opposed to the Torture and Consumption of Dogs and Cats. Our campaign, asking for the Mayor of Glendale, California to support us, by contacting the Mayor of Sister city Gimpo, has been partially successful, in that Mayor Sinanyan did raise our concerns with his Korean counterpart, Mayor Young-Rok Yoo. This is good news as it is encouraging to know that Glendale is prepared to take positive action, and are willing to ‘better understand South Korean standards, practices, laws … cultural differences’, etc. etc. 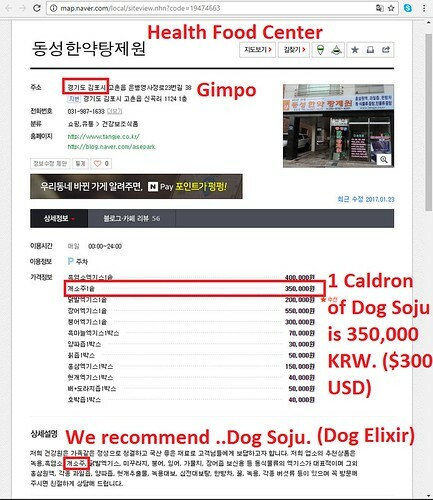 But, in response, Mayor Young-Rok Yoo’s office has done nothing more than to give the ‘standard’ assurance to Glendale that their country’s animal treatment laws etc. are being adhered to. We know that this cannot be the case. 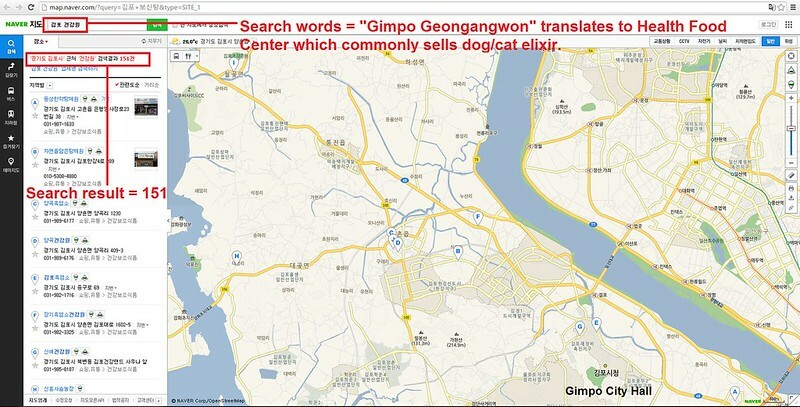 We found dog valley in Gimpo yesterday. Has an awful feeling being in the saddle of a mountain with about 10 dog farms all in the same small area, most with tall steel fences so you cannot see in, and everyone watching you as you drive in and out. Very odd feeling. – A source in Korea. Click HERE for our previous campaign. Click HERE for the response we received from Glendale Mayor’s Office. 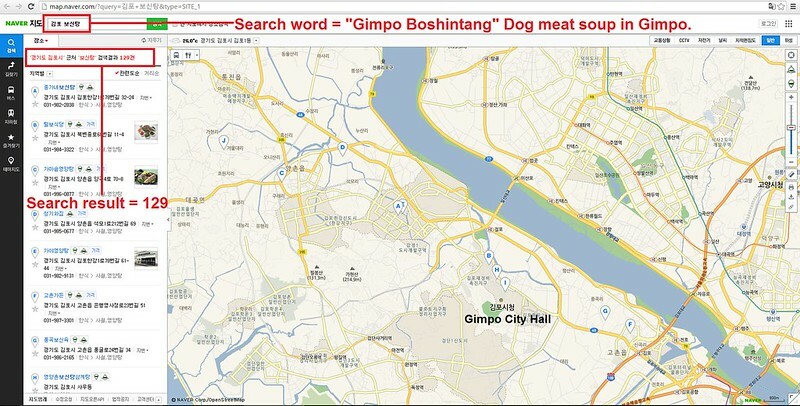 The searches resulted in: 151 Health Food Centers; and 129 dog meat restaurants in and around the city of Gimpo. We are now asking Glendale to follow up their initial contact by continuing to urge Gimpo to stop the dog/cat meat trades in their city; trades which are not adhering to their animal treatment laws and which employ brutal and inhumane methods of rearing and slaughtering their meat-dogs. Please sign, call and email to the Glendale Mayor Paula Devine today! We thank you for taking action by contacting Mayor Young-Rok Yoo, of your Sister City, Gimpo, South Korea, by stating your disapproval of any inhumane treatment of those dogs and cats which go into the meat trades in that city; and also for your willingness to learn more about the cultural differences between your two cities. We are aware of the response that Gimpo gave, but are asking you, once again, to confront them on this issue. The dogs and cats in the meat trades are not raised humanely, as can be seen in various recorded evidence: the animals are raised in a permanently neglected state; they are transported in completely inhumane ways, and then they are brutally slaughtered. We ask you to please watch this video from a massive “meat dog” farm with thousands of dog in Gimpo: https://youtu.be/uNCl-EkzKv8 https://www.ekara.org/activity/post/view/113831 Dogs in horrendous conditions are being slaughtered by hanging in their cages while other dogs look with utter terror. The dog farmer explains that they are hanged to save on electricity used to electrocute them! To raise these animals in accordance with modern-day acceptable and humane standards – proper accommodation, food and veterinary treatment, acceptable transportation, and humane slaughtering – would result in a prohibitive sale cost for each animal. These dog farmers are only raising these animals for profit. And, many South Koreans believe that eating these miserable dogs is beneficial for their health – a ludicrous and disproved belief. Mayor Paula Devine, this is not just a matter of different cultural practices; and we urge you to have another look at the evidence – we urge you to once again contact Mayor Young-Rok Yoo, and to once again ask him to end the brutal dog and cat meat trades being carried out in his city. stop this evil from peoble on animal— animal are not evil !!!!! All over the world we recognise the value of dogs in our lives and cultures. They are the fellow creatures who have evolved with us. They are patient, tolerant and brave for us. They deserve our respect. WE must do all we can to honour and care for them too. there is no god as you can see. Disgusting!!!!! Stop the brutal behavior! Shame on you. stop eating dogs & cats!! Ugly, sadistic, evil people! Despicable torture of gentle, feeling creatures! it’s terrible, I have no words to say how I feel !!! we have to do everything we can to stop this !!! whoever close the eyes on this horrendous situation is the same as the one who does this !!! I can not understand how the people can be so cruel against the dogs and the cats !!! they live close to us since so long time !!!! they are like our family , like the children !!! we have a power to be good and to be bad !!! and I see that a lot of people choose to be bad !! !